When you are thinking and planning to bring a new kitten, it is an exciting affair. They are so playful along with the cuteness that you can’t resist to play with them. Keep the cuteness and other attributes aside, make sure that you have all the essentials for your new member in the house so that they don’t have any problem in adjusting in their new abode. There are many items and products that you would think is hurting your pocket. No worries! Grab some Zooplus available online so that you get all the things at the price of a song. Have a look at the list compiled as under where you would find all the items that are necessary for your kitten to make her stay snuggly and comfortably in your home. There are many varieties of the kitten food to choose from. Also, the prices varies according to the items that you get for your kitten. Ensure that you have sufficient food for the first week while you are bringing your kitten home. You can also get the food for your kitten the day you get your kitten. You can also drop by your local vet so they can give you the best guidance regarding the correct kitten food. There are range of kitten toys available in the market and they play an essential part for your kitten’s homecoming. Kittens are very playful and some new fun toys will keep them occupied and satisfied in their new residence. Instead of purchasing every toys from the stores, you can also try to make some by yourself. This will not only help you to save some bucks but also make you happy for the new member in your house. Kittens will sleep any place which is warm and soft. But if you are getting them their own bed and carrier, then this will help to get a nap or peaceful sleep whenever they want. Carriers may not look so important but this is perhaps the first thing that you should bring home. The kitten carriers not only help to stay your member comfortable also keeps him safe from the unwanted happenings. There are many treats that are available for kitten which offers health benefits while you are providing a snack with her. You can also get down to the nearest vet and get a word about the treats that are beneficial to your kitten and search for one that suits your budget. Kittens are a little playful so when they are taken for a leisure stroll, you will have a difficult time to control them. So you need to get an adjustable kitten collar along with the pet’s name and address of your house- in case your kitty is lost. This is a must thing that you should keep in your house. The litter deodorizer available in the market are safe and don’t contain synthesized chemicals that would harm to your pet. 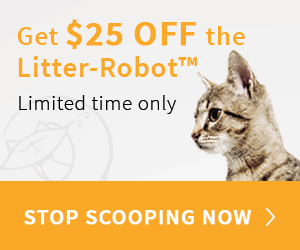 Make sure that you keep the Litter Deodorizer handy so that you are able to clean up the mess that is made by your kitten. I hope that you are able to get your kitten help to start a new life with the above mentioned kitten essentials. Apart from all this, don’t forget to enjoy the time with the new member of your family with loads of fun and laughter together.